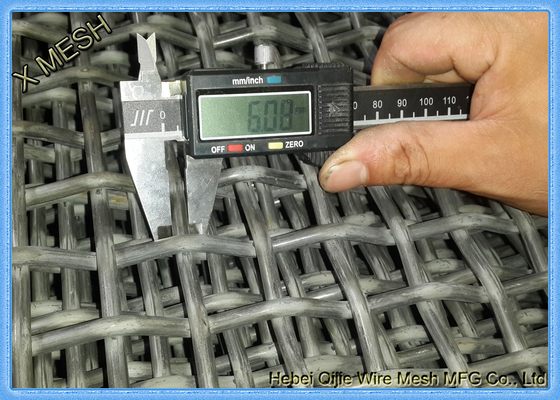 To manufacture superior quality screening mesh, the steel wire is foundation. 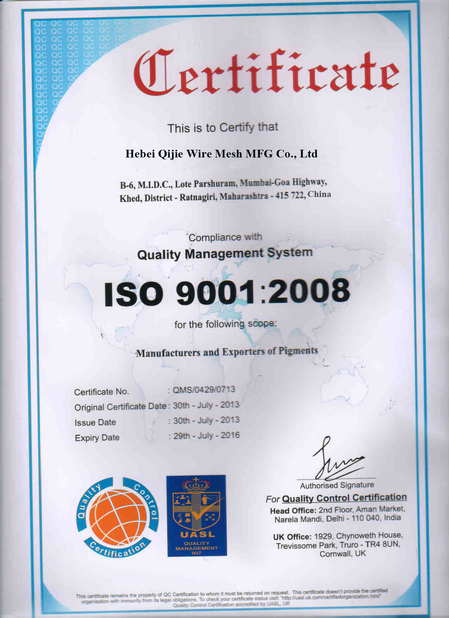 We use GB 65Mn high tensile spring steel as the material, of which the tensile strength can reach as high as 1500MPa, and percentage reduction of area can reach above 45%. 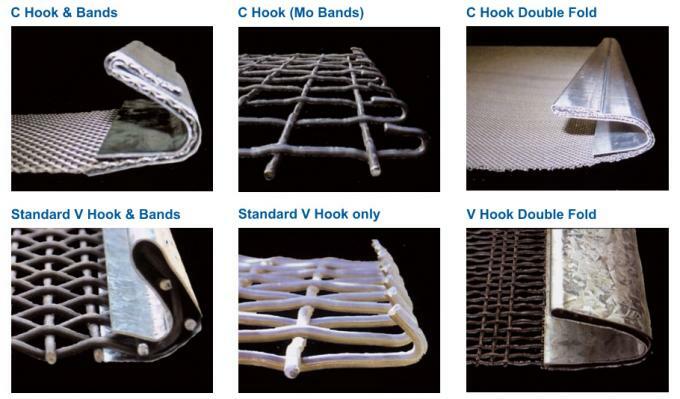 Its modular structure has been changed through a lead quenching process, hence it has higher toughness, better abrasion resistance property and a longer servicing life. There is no connector in the whole coil of wire, thus no wire breakage in the screen media will happen in use. Besides the material, weaving is also crucial. 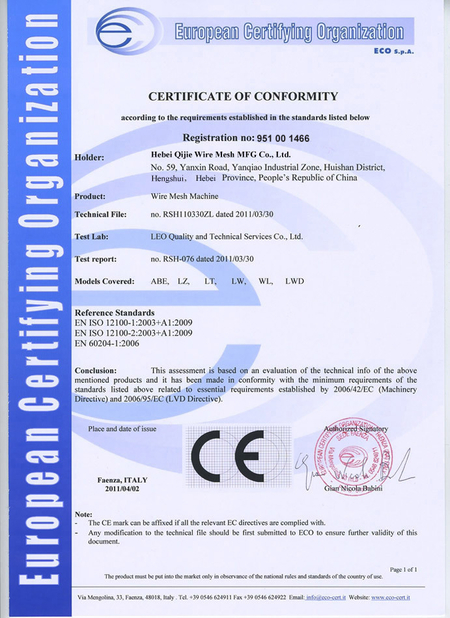 We imported advanced woven technology from Canada, and strictly follow the requirements of ISO9000 quality management certification system in crimping, weaving and all the final following procedures to ensure the screen surface flat without up-warp, a stringent aperture tolerance(within +/-3%), an upright sheet without tilt and a tight structure. These factors enable our screen have a better screening efficiency and a longer service life, which can be extended by 30-40% and minimizes your labor, maintenance and lost production cost. 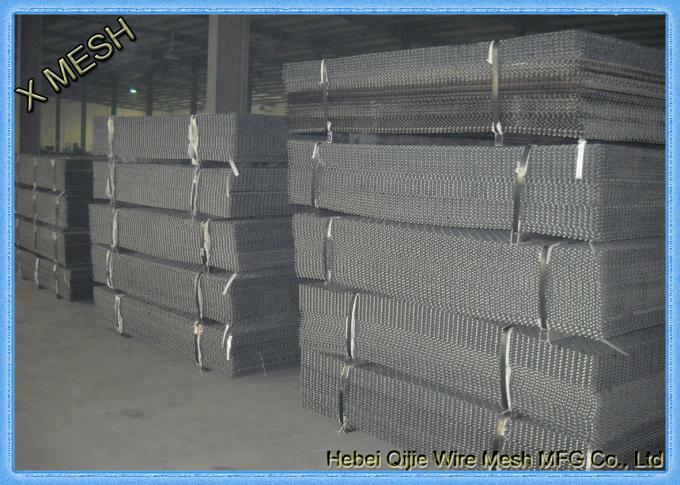 Specifications: we can produce woven screening mesh with various diameters(2.34-12.7mm) and a wide range of dimensions(width between 1.22-1.52m, length between 1.97-2.57m). Our equipment can adapt to different situations with high productivity, so we can guarantee the delivery time.